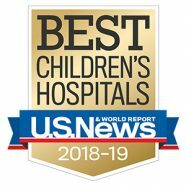 It’s always an exciting moment when U.S. News & World Report reveals their annual ranking of the Best Children’s Hospitals in the nation — and this year is no exception! The yearly Honor Roll recognizes the best of the best in pediatric medicine and is an accurate indication of how children’s hospitals are improving the lives of children and their families. That’s why I couldn’t have felt prouder when I saw that our team has worked with nine of the top 10 hospitals on the 2018-2019 list. What makes this Honor Roll so important is that it ranks the best children’s hospitals by gathering data on clinical outcomes, efficient coordination of care, and their ability to provide sufficient care-related resources. And what makes it so special is that it includes data from a reputational survey sent to about 11,000 doctors who are pediatric specialists – meaning that these organizations are seen as the greatest among their peers. The 10 best specialty designations are also significant as they recognize those pediatric systems leading the way in medical advancements and improving outcomes for some of the most medically complex conditions, including cardiology and heart surgery, cancer and orthopedics. Over the last 25 years, our team has had the opportunity to partner with the top children’s hospitals to help create design solutions that support their all-important missions. We’ve collaborated on many innovative design projects, most recently Texas Children’s Hospital Legacy Tower and The Woodlands Campus, Children’s Hospital of Philadelphia’s Buerger Center for Advanced Pediatric Care, Nationwide Children’s Hospital’s Replacement Hospital, Colorado Children’s Hospital new facility in Colorado Springs, and Boston Children’s Hospital Master Planning — just to name a few. Congratulations to all of the top hospitals on this well-deserved recognition. Thank you for the amazing work you do that continues to inspire us each day!